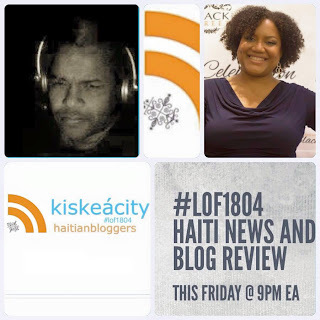 Join co-host Hans Roy, Hugues Girard and I this friday at 9:30PM as we review the latest news and media on Haiti and Haitians including the latest in elections and elections funding. http://tobtr.com/s/9002717. Listen LIVE ONLY on the phone at (714) 242-6119.